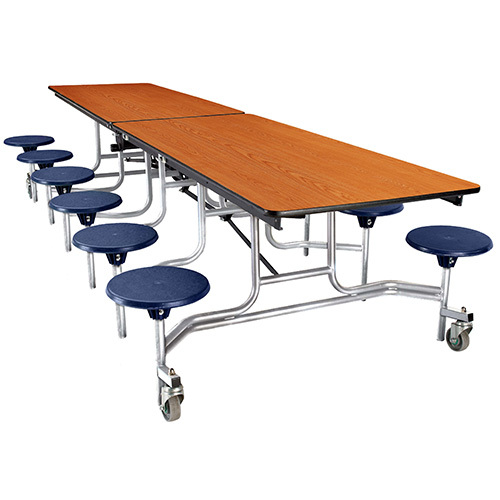 Mobile Stool Units are available in rectangle, round, and elliptical shapes. Using stool tables will allow for more personal space per table vs. benches which is great for larger children and adults. Our 12' rectangle 16 seat stool table is great for smaller children. Outfit your room with some variety by using both benches and stools on round and elliptical tables. Several combinations available. Café Time Table, Height Adjustable 30" to 42"